The insurance sector in Bermuda is extremely successful: its insurance industry is expected to hit US$167 billion in gross written premiums in 2019, up from $102 billion five years before. The Island has grown from a captive hub to the second largest reinsurance market in the world, driven by achieving full equivalence with Solvency II by the EU in 2016, expansion to new global markets, and by being an innovative incubator for the development of alternative capital (Insurance Linked Securities, for example). 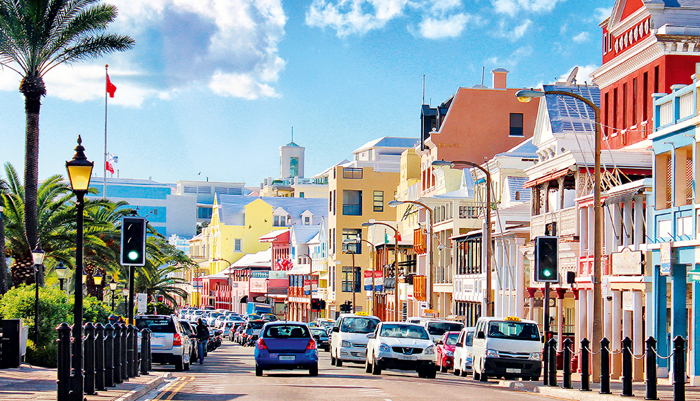 There are regular openings on the Islands – especially Bermuda – with insurance management companies for newly or recently qualified accountants who have financial statements preparation experience. These positions often have the title of Account Manager or Account Executive. In the same way as you would have responsibility for handling a portfolio of clients as an Audit Senior in public practice, as an Account Manager or Executive with an insurance management company, you assume responsibility for the financial accounting, management accounting and annual reporting for a portfolio of insurance-related companies (known as ‘captives’) who are clients of the insurance management company (i.e. of your potential new employer). Such a role involves responsibility for preparing (and later reviewing/consolidating) financial statements each quarter-end plus full financial statements under US GAAP/ Canadian GAAP/ International Financial Reporting Standards at year-end, in liaison with the external auditors. In between these period-ends, you will have other responsibilities related to these client companies such as formulating budgets, ratio analysis, making sure the client is up to date with payments, reviewing material insurance losses (claims), assessing investment income and administration etc. As a general rule, you must be a qualified accountant (ACA, CA, ACCA, CPA) with excellent technical and communication/interpersonal skills, particularly as you may often be liaising with US-based clients. Importantly, it’s not a requirement to have prior financial services experience. Opportunities such as this type of position are popular with candidates seeking to explore non-audit options on the Islands. You also get effective industry experience as a financial & management accountant on a variety of companies, which is a highly-portable skill to take to any future employer, even if you don’t factor in the insurance-specific and international reporting experience you’ll also have picked up on the way. Depending on the jurisdiction, you can expect to receive a tax-free salary of circa US$75-85,000 paid in US dollars, as well as additional benefits such as a bonus and medical/life insurance, plus full work permit sponsorship and paid relocation. Many successful candidates will elect to stay longer than the initial two-year standard contract period to develop their career in this tax-free and appealing environment. Employers are keen to encourage such management potential. This means that if you want to stay longer than the initial period (as most do), it’s highly likely to happen. If you are a lawyer or chartered accountant and interested in working in the Bermuda/Caribbean region, visit our jobs portal to see the latest vacancies. Our site also includes a downloadable All You Need to Know guide which will tell you all you need to know about living and working offshore. I am interested in this position. Please provide more details. I am CA with more than 3 years of post qualification experience working in big4 audit. I will be relocating to Bermuda in August 1st week, please let me know if there is any relevant opening. Hi there. I am very interested in the position. Please provide me with more detail as to where I can apply. Thank you. Be first to hear about new jobs and get our All You Need to Know guide. Hamilton Recruitment respects your privacy. Your information is safe and will never be shared with third parties.